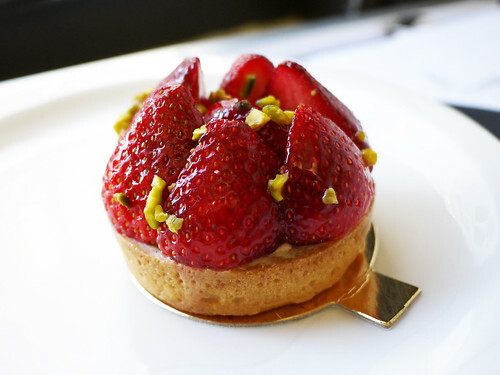 We love a good strawberry tart, definitely one of our favorite desserts if it's done well. Well, it's not often that we find one we like (this Petrossian one used to be our gold standard but it sadly hasn't been the same of late), but this one was a winner. They must not have them all the time because I don't remember us ever being tempted to try this.